Denver East High School Lacrosse, a program rich in history, began in 1965. In the early 1970’s Denver East and Manual high schools combined to form the East-Manual Lacrosse Club. The Club enjoyed support from many individuals throughout the community from 1971–1978. Chris Romer, former State Senator and one-time Denver Mayoral candidate, served as Player-Coach in 1977 & 1978. Romer currently is co-Head Coach of the Denver East Women’s lacrosse team. In 1979, Jon Barocas was approached to be an assistant coach. After the first practice, Barocas became the Head Coach and remained at Denver East for the next 33 years, retiring in 2011. Under Barocas’ leadership East-Manual and Denver East Lacrosse accumulated nine Colorado State Championships in 1985, ’87, ’88, ’89, ’90, ’93, ’96, ‘98 and 2000, and had five undefeated seasons. 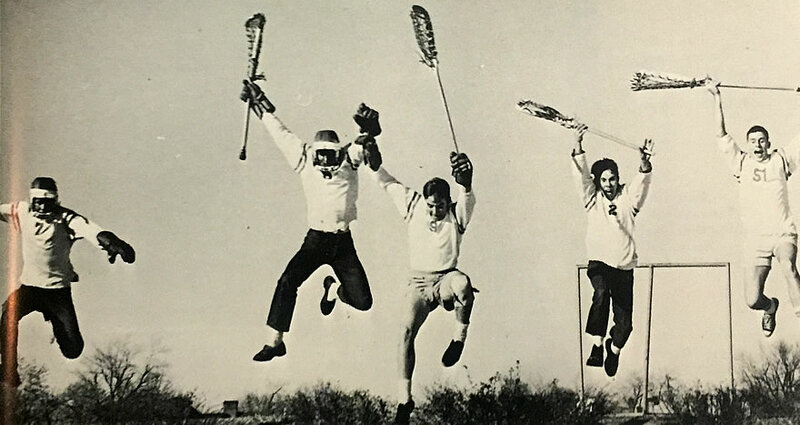 In 1985 the East-Manual Lacrosse team began traveling throughout the country playing teams in California, Maryland, Connecticut, New York, Massachusetts, Virginia, Washington, D.C., New Jersey and Florida. In 1988 East-Manual Lacrosse won the Daniel Hand Tournament in Connecticut, bringing instant recognition to Colorado lacrosse. In 1999, with the official Colorado sanctioning of boy’s lacrosse, East-Manual Lacrosse returned to being known as Denver East Lacrosse; the team won the CHSAA sanctioned State Championship game in 2000, and appeared in the State Title games in 2002 and 2006. On April 22 2006, Denver East and Cherry Creek made Colorado lacrosse history when they played before 12,000 fans in the Rocky Mountain Shootout at Mile High. Current Denver East High Boy’s Lacrosse coach Sean McCarthy is in his ninth season with the Angels. Today, in part thanks to the growth of the sport, the program is comprised of three teams – Varsity, JV and C teams. The teams play in the South Suburban League of CHSAA 5A Lacrosse, a highly competitive league which includes Regis Jesuit, Kent Denver, Colorado Academy, and Heritage high schools. The program has consistently boasted All Conference, All State, and All American team selections, and Denver East Angels have represented on some of the most competitive teams in Colorado – past and present, including Denver Elite, 3d Colorado, Team Colorado, DoCo, the Wild, FCA Colorado, the Jr Mammoth, Colorado Crush, Team Colorado Outlaws, Team 5280, and Evolve US. Denver East Lacrosse players have gone on to play at the next level including at Cornell, Harvard, Princeton, Dartmouth, Brown, Johns Hopkins, Hofstra, Hobart, Middlebury, Drexel, Colby, Colorado College, Boston College, Columbia, Georgetown, Bucknell, and the University of Denver, among others. Denver East players contributed to winning a combined eight NCAA Championships with their respective teams, including at Princeton and Johns Hopkins. And some Denver East Angels Lacrosse alumni transferred their lacrosse skills to other sports in college.